When was this? I am not so sure anymore. 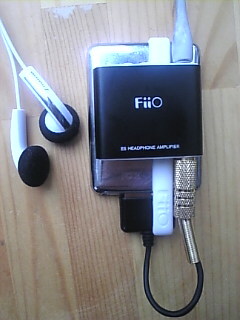 I am guessing close to whenever the Fiio E5 came out. ipod mini (square) 3rd gen 2007 which I dug up, the Fiio E5 (The added volume/amplification made all the difference), Audiotrak LOD and the Sennheiser MX-760 earbuds. At the time I couldn`t imagine wearing in ears.